The European Commission’s latest efforts in the field of telecommunication have been directed to regulation, especially in the area of high-speed Internet provision in the whole EU. The EC’s previous effort resulting in regulation of prices of cross-border calls by means of the so called Regulation on roaming lead to a rapid decrease of prices of such calls. Will further steps taken by the EC in the area of communication be equally successful? Why is it necessary to regulate a single market? Prices for using mobile phones abroad were four times higher on average than calls within a national network, nevertheless such difference was not justified by operators’ costs. A website by the European Commission that compared roaming prices within the EU pointed at excessive prices that reached up to 12 Euros for a four-minute call. National regulators felt powerless, while roaming, due to its transnational nature, is out of their sphere of activity. Repeated appeals to operators to lower roaming charges willingly were not heard, and the Commission therefore proposed a regulation, which was initiated by the EU Regulation on Roaming and came into force in July 2007. Thanks to the EU market regulation, the regulation enabled consumers to call within the EU for acceptable prices. The regulation does not set any ideal amount of fees for roaming, but it makes sure that these charges will not be excessively higher than charges for calls within a national network. What does the new Body of European Regulators for Electronic Communication (BEREC) bring? BEREC will promote harmonization of legal regulations throughout the whole EU, and it shall strengthen the telecommunication services single market. BEREC will comprise leading representatives of individual telecommunication regulation bodies from the 28 EU member states. The body will also provide counselling in issues connected with the application of the EU regulation framework for electronic communication to the Commission, but, upon request, also to the Council and the European Parliament. It shall secure fair competition and coherence of regulations in the electronic communication internal market to the benefit of consumers and contribute to independent work of respective national regulation bodies, mainly in cases of regulation resolutions with international aspects. How does the so called Eurotariff (roaming) work? The European Commission showed initiative in the area of lowering charges for using mobile phones abroad (international roaming). Since September 2007, the Regulation of the EP and of the Council (EC) No. 717/2007 on roaming within public mobile networks in the Community as amended by the Regulation of the EP and the Council (EC) No. 544/2009 and further Regulation No. 531/2012 have been exercised. Since 2008, regulation has also been applicable for the countries of the European Economic Area. Eurotariff means that within the framework of roaming, charges are unified in the member states (excluding VAT). For the maximum roaming charges click here. Operators can of course offer cheaper prices. 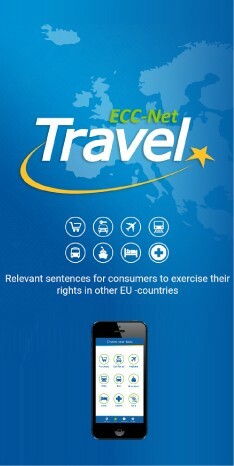 You always have the right to information about roaming prices when travelling within the EU. When crossing another member state’s border, you get an SMS message informing you about prices for outgoing and incoming calls. This SMS is free of charge. At the same time, a contact number must be provided to you where you can get more information. Eurotariff applies only to voice calls in the member states, regardless if you have a prepaid or a tariff service. It does not apply to other mobile services such as SMS, MMS or data transmission. What is the Digital Agenda? The purpose of the Digital Agenda is to support of high-speed Internet, create a single digital market supportive to transnational electronic commerce and increase consumers’ trust in on-line transactions and electronic tools. The European Commission, by means of a campaign called “Open Internet and Network Neutrality in Europe”, promotes transparency and simplicity of changing Internet service provider, and also considers possible regulations of the market with the purpose of strengthening competition and increasing options available to consumers. EU regulation on roaming brings more fairness to consumers as well as operators and enables also smaller operators to compete. European internal market will thus become a single market also for mobile networks services. The EC’s aim is to (by means of regulation) reduce excessive prices in the area of telecommunication in the single EU market.